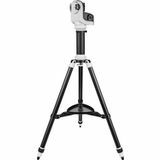 With exceptional motion control, a smooth 2-way fluid pan head, sturdy aluminum alloy legs, geared elevator column, and a 13.2 lb. 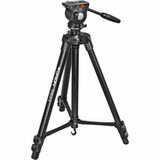 payload capacity, the lightweight Tritech II Field Tripod is ideal for portable support of optical instruments. 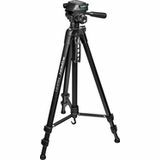 The rugged Tritech CFX Carbon Fiber Tripod features a super-smooth fluid pan head and twist-lock handle grips for exceptional altitude and tilt control. 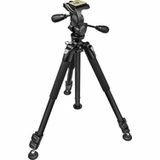 Each three-section tripod leg can be set at four different angles for stability on any terrain. 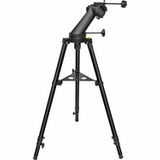 This sturdy and affordable single-arm altazimuth mount features 360-degree azimuth and 180-degree altitude rotation. Micro-motion cables on both axes allow precise aiming, framing, and tracking of target objects. The Tritech LT-1 supports up to 6.6 lbs., but weighs less than 3.5 lbs., making it super portable for taking on hikes, road trips, or flights. 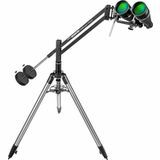 Aluminum legs with flip locks, 3-way pan head, carry handle, and case with shoulder strap. 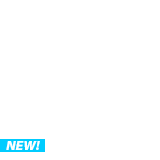 Max height 66".